At every stage, you’ll be able to see your progress and enjoy your smile as it transforms. Invisalign is an orthodontic product that effectively helps correct a number of different orthodontic issues and gives you a balanced, even smile. Primarily the advantage of Invisalign is the use of clear, removable aligners which can straighten teeth whilst being flexible and less noticeable than solutions like traditional braces. Do you have crooked or uneven teeth that you want to be straightened, but you aren’t interested in traditional metal braces? The dentists at Smile Style offer a perfect way to achieve straight teeth — Invisalign® for adults and teens. Our trained dentists use high-tech 3D computer imaging technology to create your treatment plan and a series of customised aligners made from a medical-grade polymer (plastic), which is safe and durable. Your custom aligners are typically worn for a period of 6 to 18 months, depending on the severity of your case. Throughout this time, you change your aligners on a two-week basis. Each aligner is designed to slightly re-position your teeth gradually to create that straight smile that you deserve. Each week that passes by, you will notice your teeth getting straighter and straighter! You can remove the aligners every time you eat, floss or clean your teeth, however they must be worn day and night. They are virtually undetectable and are more comfortable than traditional styles of orthodontic treatment. Quick, easy, and stress-free steps to get started! Requires few follow-up appointments— we recommend an in-office appointment with us every 4-6 weeks to monitor your progress. Removes easily so you can tend to your regular activities (eating, brushing, flossing). 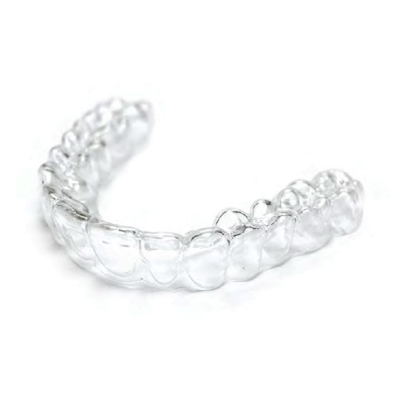 Appeals to more age groups due to its near-invisible appearance; it is an appealing solution for adults who do not want traditional metal orthodontic braces. Produces incredible results that will always have you smiling! Preventing the painful and uncomfortable consequences of wearing traditional braces (i.e., mouth blisters, difficulty eating). Eliminating the constant need to change rubber bands that come with traditional braces. Removing the need to sacrifice certain foods when using Invisalign. With traditional braces, patients are advised to steer clear of peanuts, popcorn, and many other hard foods or snacks. From your first aligner to your brand-new smile, there is no guesswork. An advanced iTero® or Trios Digital Impression System models your teeth in a 3-D environment, indicating what your teeth look like. Using this model another complex software called ClinCheck® is used to calculate the series of movements, forces, and pressures required to shift your teeth into place. Allowing Invisalign technicians to create a series of custom aligners which will successfully shift your teeth over a given time-frame. I7 - A basic treatment plan which focuses on aligning teeth over the smallest possible time-frame. Best suited towards patients with mild dental issues in a time-frame up to 3 months. LITE - The lower priced solution for less complex orthodontic cases, suitable for patients with minor gaps and crowing treated in under 9 months. FULL - Corrects a large range of alignment problems, treated within a time-frame up to 24 months. Suitable for patients with heavy misalignment and crooked teeth. COMPLEX - Provides a solution for fixing almost all orthodontic cases in a time-frame of approximately 24 months. Suitable for patients with severe misalignment and crooked teeth. If you are wondering whether Invisalign is the right solution for you, come in for a free consultation with one of Smile Style's dentists. We will happily evaluate your options so you can be on your way to enjoying the flawless smile you deserve!